Hyundai Motors has released pricing and trim level information on the 2017 Ioniq hybrid and Ioniq electric small crossovers. Toyota was able to take its time in rolling out the Prius lineup because each represented one of the first models in their respective segments. Hyundai, however, doesn't have that luxury. As a result, 2017 will see the introduction of three green vehicles to its newly-anointed Ioniq nameplate. Although all three share the same body and platform (Hyundai has promised more body styles will follow), the Ioniq comes to market offering buyers a wide spectrum of powertrain choices. 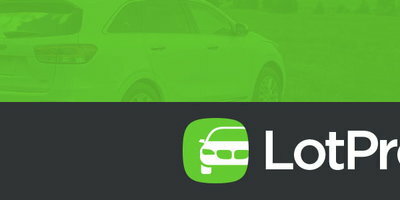 Earlier today, Hyundai released pricing information on two of those vehicles – the hybrid and the all-electric model. The Ioniq Hybrid will be available in three trim levels – Blue, SEL, and Limited. All three will feature Hyundai's new Kappa 1.6 direct-injected Atkinson-cycle inline-four. Unlike most of the CVT-equipped competition, it is mated mated to a 6-speed double-clutch automatic transmission. Output of the electric motor is estimated to be 32 kW (43 horsepower), while maximum torque is estimated at 125 lb.-ft. The electric-only driving mode, according to Hyundai, offers "instantaneous" torque at low speeds. There's also available power-assist at higher speeds. A lithium-ion polymer battery is located under the rear passenger seat and has a storage capacity of 1.56 kWh. Total system output is estimated at 139 horsepower. 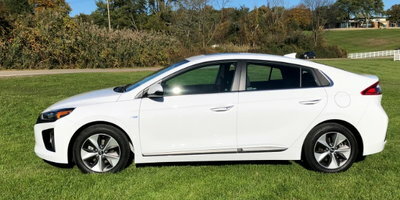 The Ioniq Hybrid Blue model comes with an EPA-estimated 58 miles per gallon combined rating (the highest among non-plug-in vehicles sold in the US). The Ioniq Electric features a 28 kWh lithium-ion polymer battery for an estimated driving range of 124 miles. Maximum output of its Electric motor is estimated to be 88 kW (118 horsepower), while maximum torque is estimated at 215 lb.-ft. of torque. Power is delivered to the front wheels via a single-speed reduction gear transmission. Using a SAE Combo Level 3 DC, 100 kW fast charger will charge its lithium-ion polymer battery up to 80 percent in 23 minutes. In addition, an integrated In-Cable Control Box (ICCB) allows the Ioniq to be charged from a standard household electric socket. The Ioniq Electric has an estimated 125 MPGe rating. According to Hyundai, both models will begin arriving at dealerships "soon."